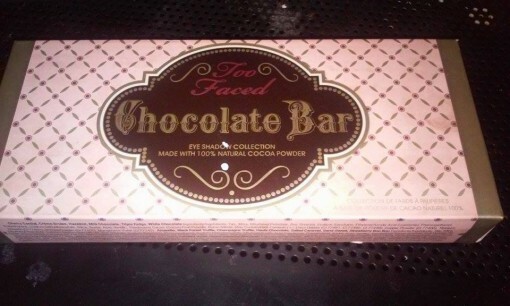 Imagine my surprise when I wake up to find the delivery man has my Too Faced Chocolate Bar palette! Now imagine my horror as I open the package and there is dust everywhere, and one of my colors looks like someone mashed the makeup brush in there! However, All other colors were intact, nothing besides the one color was damaged, and it even came with an instruction booklet for three different looks. The eye shadow comes out of the container so smooth, you don’t have to push or drag your brush. A soft swipe will get plenty of color off your palette, which is really nice. Part of me is indeed disappointed. 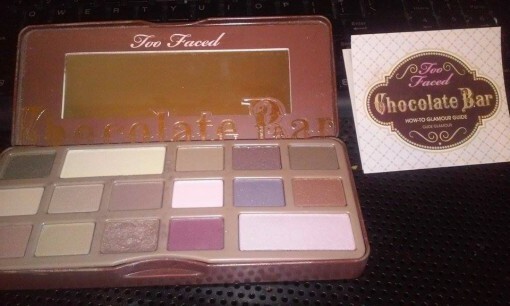 And it is in fact from the palette not smelling like chocolate. I trusted you, Jen from From Head To Toe. 4 out of 5, but it’s more of a delivery problem than anything else. I’ll try to buy from a more reputable dealer next time.